Dubai Taxi fleet consists of 44% hybrid taxis. Recently they purchased a large quantity of new taxis out of which major number was hybrid. As per Wikipedia A hybrid car is one, which combines a conventional internal combustion engine propulsion system with an electric propulsion system. Unlike conventional gasoline cars, hybrids get better fuel economy, do well at slow speeds or idling, and have cleaner emissions. Around 5 years ago The Emirate of Dubai has introduced hybrid taxis to the country, Carrying a slogan “Leadership for a Better Tomorrow” and the “Hybrid Taxi” green logo that distinguishes them from the other taxi units plying on Dubai roads, the hybrid taxis were operated with fuel and electricity making it a hybrid. Readers, please note that hybrid taxis are more expensive than regular units but they are operated without extra charge on passengers as they will have the same fares, routes, and operation as the other taxis in the fleet. Hybrid taxis also have the corporate identity of Dubai Taxi’s red roof with the same speed and safety features. That proves the dedication & commitment of the UAE government in taking rapid strides towards green economy. Achieving a 44% green target in just 5 years is a great achievement, considering the fact that so far all green actions are not cost effective. Cost plays a vital role in going green. 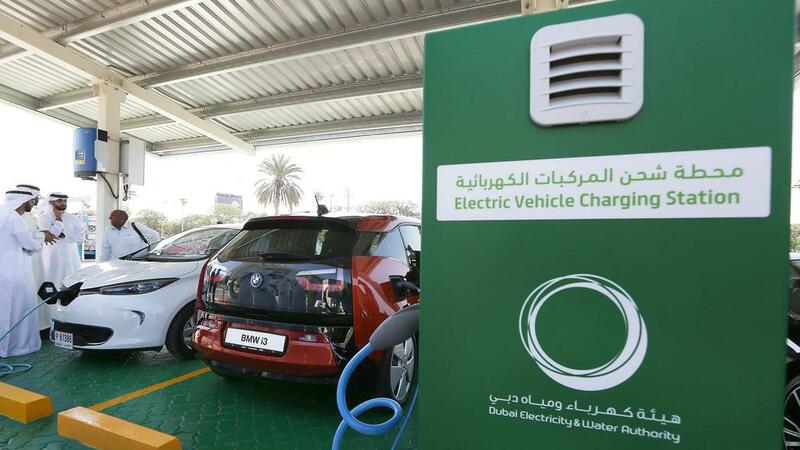 Since it runs on electric charge, Dubai Electricity and Water Authority [DEWA] has introduced many charging stations throughout the country. As of now it has installed 200 charging stations. The best part is that till the end of 2019 this is free service by them. 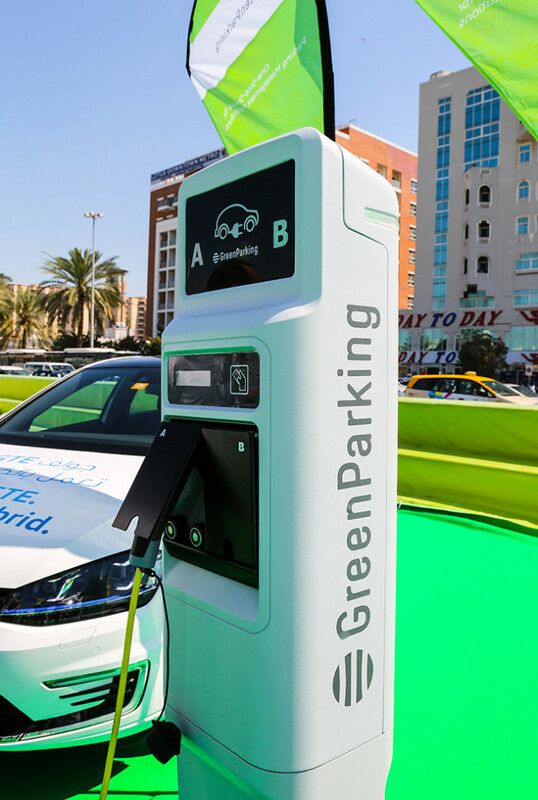 Free parking spaces have also been introduced by Dubai Municipality for Electric vehicles. This kind of encouragement is a highlighting factor in big strides of UAE government towards sustainability and green living. Thanks Joon. UAE is indeed green conscious. Wow, it is always surprising to know UAE's advancement in sustainable future! Dear Deepak please do visit Dubai. Its' an un-forgetful experience. You are welcome, I am always impressed by Dubai, I want to visit Dubai once in my lifetime. Thanks Gyeongrin. By doing such acts it motivates the public also to think in this direction and performing green actions. Thanks Enjeck. This is expensive but cost effective in the long run. Thanks Kushal. 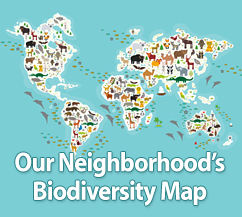 The dedication & commitment of UAE is clear & undeterred in eco-conservation. Thanks Deepak. They have a green vision of next many decades to come. Thanks Sachin. The progress of Dubai rather UAE is phenomenal in this direction. Thanks Ratna. Agreed. This initiative should be encouraged. The UAE government is truly doing an amazing job of helping to restore our environment! Electrical cars are quite heard nowadays but it is quite new for the government to go first in line to practice electrical cars in the forms of taxis. I assume this is more expensive than the average car? Glad to hear about new policies and programs implemented by UAE governemnt. In past few reports from the fellow ambassadors from UAE i have known many policies and programs of UAE that are very much useful in the current context to protect the environment and these hybrid taxi is added to the same list. Thanks for updating us about the hybrid taxi being used in such a huge number in UAE. Clean transportation should be the focus of every nation as we are finding a great threat of air pollution and non renewable resources. I'm am excited to read more activities from UAE. Dubai is progressing in every sector, this is next level, all other nation must follow this commendable action. Dubai is going in very good direction as of new innovations and green technology.